Mommy Mundo Journey Box | Vanity and Everything in Between. I've received a lot beauty boxes before and loved most of them. But a few weeks ago, I received the most unique box. It's not a beauty subscription box. It's a box for mommies! If you're a mommy or mommy-to-be from Manila, then you have definitely heard of Mommy Mundo. Mommy Mundo is an online community for mothers helping each other thru parenthood. It connects you with fellows moms. Their purpose is to empower mommies through various channels. There are annual mommy bazaars called Expo Mom gathering various baby and children brands in one location. There are also several talks (different topics) held every year for parents. You could sign up to be a member (for a year) of just feel free to browse their website. But of course, being a member sure has its perks. For a membership fee of PhP500, you enjoy free entrance to Expo Mom (which is quite a big bazaar for parents). You enjoy discounts from participating or partner brands of Mommy Mundo. You will get an annual planner for the following year on their last Expo Mom event of the year. You will receive a Mommy Mundo passport - as proof of your membership that you can use to avail discounts and free entrance. 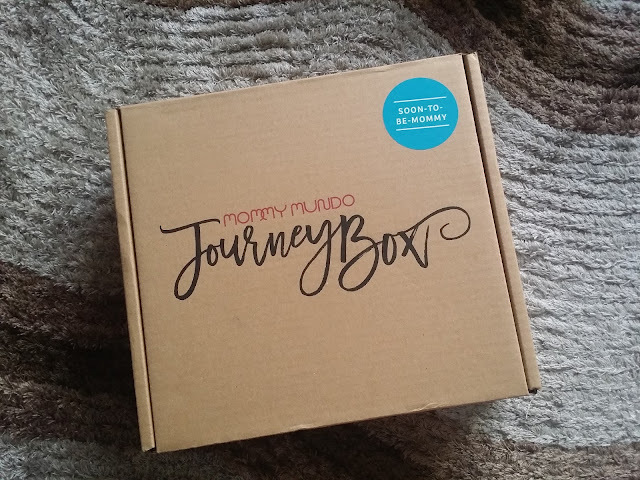 Lastly, you will receive a Journey Box of your choice! If you are an existing member, you may request to reprint your card and have another box for PhP300. Six full-sized items in one box! Not bad at all! Apart from the products above, there's also a Tiny Buds discount voucher, Style Me Little discount voucher, Boba Philippines discount voucher, and Halo Philippines discount voucher. Mommy Mundo will have its last Expo Mom Holiday Edition for 2016 starting tomorrow, November 4 until November 6, 2016 at Glorietta Activity Center. From what I know - I-Angel, Ecomom, Urban Essentials Inc, Snug-a-Hug, Wallaby Baby, Teething Beads, and Tiny Buds will be there. Follow Mommy Mundo on Facebook and Instagram for more updates! You may also take this opportunity to buy Christmas gifts for your children, godchildren, nieces and nephews! Be Sample Room's Roommate of the Month!